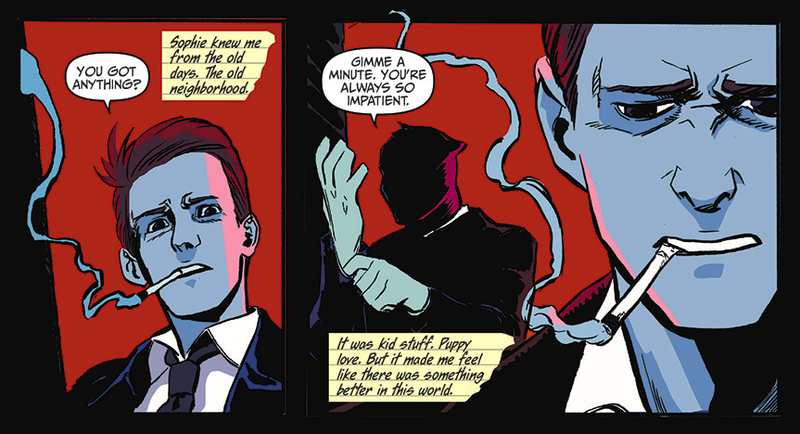 Writer David Pepose and illustrator Jorge Santiago, Jr.’s Spencer & Locke is a dark, gritty send-up of Bill Watterson’s classic Calvin and Hobbes comics. It’s the story of a man, his imaginary feline friend, and their quest to solve a bloody murder mystery. According to The Hollywood Reporter, Hitman producer Adrian Askarieh has optioned the film rights to Spencer & Locke and is currently working with the same film studio that produced the Resident Evil films to turn the relatively new comic series into a full-on cinematic franchise. Askarieh’s Spencer & Locke project is currently in its earliest stage of development and no details about the first film, cast, or production team has been announced as of yet.